Make sure to bring all the necessary forms and receipts and organize them so that they may be found quickly. A file image of tax forms. Nobody benefits from wasting an hour rifling through receipts and guessing about numbers with your Certified Public Accountant during tax time. Your CPA needs the following four categories of information to prepare your taxes properly. Make sure to bring all the necessary forms and receipts and organize them so that they may be found quickly. For any new relationships, you will need to supply identification for you, your spouse, and all dependents claimed. Social Security cards are preferred, but other government-issued ID is usually acceptable. Check with your preparer before you visit. Other basic information includes your address, your previous year’s tax form, and any information relating to a change in your tax status such as inheritance, marriage/divorce, and change in dependents. The IRS is cracking down on cases of divorced spouses filing separately but claiming the same child as a dependent, so make sure that situation is clarified if it applies to you. 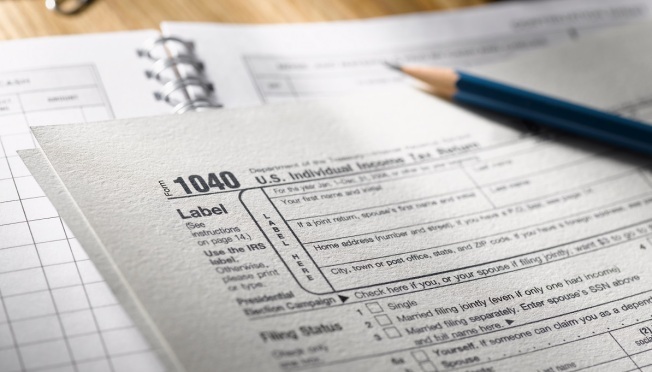 Most taxable income will be summarized in standard IRS forms sent by payers – W-2 forms for traditional salaries, wages, bonuses, and tips; 1099 forms for self-employment, independent contracting, and most investment and interest income; and K-1 forms for personal taxes relating to ownership (S-corporations, partnerships, LLC’s, and trust/estate incomes). Each income source owes you a corresponding form. There are many variations of the 1099 form related to specific sources; check the IRS website if you are missing a form and are not sure what type of form you should receive. It is up to you to supply documents, such as bank statements, spreadsheets, or written summaries, for any income not covered by these forms. These sources include rental income, alimony, and self-employment income below the $600 limit that triggers a 1099-MISC. Expenses such as mortgage interest, larger charitable contributions, and student loan interest will be documented on a 1098 form. Many other potential deductions such as medical expenses, property taxes, moving expenses and childcare/daycare costs require verification through receipts, cancelled checks, statements, or spreadsheets. Your CPA may be able to help you find extra deductions that make itemizing worthwhile or save money on your current itemizing, but he or she must know what types of expenses you have. Ask for a checklist of potential deductions in advance so you can research possibilities prior to your meeting. If your CPA doesn’t have a checklist, there are many available online. Do your homework to consider all possible deductions, then organize and bring any documentation you think may be relevant. Don’t forget to include documents relating to unusual or catastrophic claims such as theft and casualty losses and losses from natural disasters. If you deduct these losses, be sure you include any reimbursements toward your losses when tallying your income. If you purchased health insurance through the Marketplace, you will need to bring the 1095-A form issued by the exchange. It contains the insurance premium and subsidy information for you and your family members. Your CPA will use it to fill out other forms that may apply to your situation, such as the Premium Tax Credit form (Form 8962) and the Health Coverage Exemption form (Form 8965). If you qualified for subsidies, it may be helpful to have the income estimate used to calculate your tax subsidy. Your tax preparer may need that estimate if your income differed greatly from the estimate and you end up with a large subsidy repayment to defend (or refund to claim). You may also need to provide information on payment or refund methods. If you intend to use electronic payment methods, you will need information such as your account number and the bank’s routing number. That is not necessarily the number printed on your check – verify the correct information with your bank. With proper preparation, nothing will go wasted during your tax preparation trip to the CPA – none of your time, your CPA’s time, or your money.